Set aside all your preconceptions about suburbs. 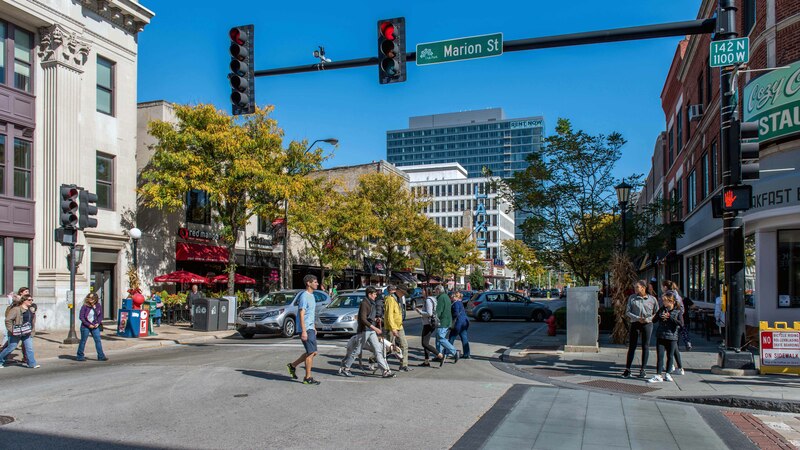 The Village of Oak Park‘s downtown area is one of the most vibrant, pedestrian-friendly, transit-oriented, culturally-diverse, fun neighborhoods in all of Chicagoland. 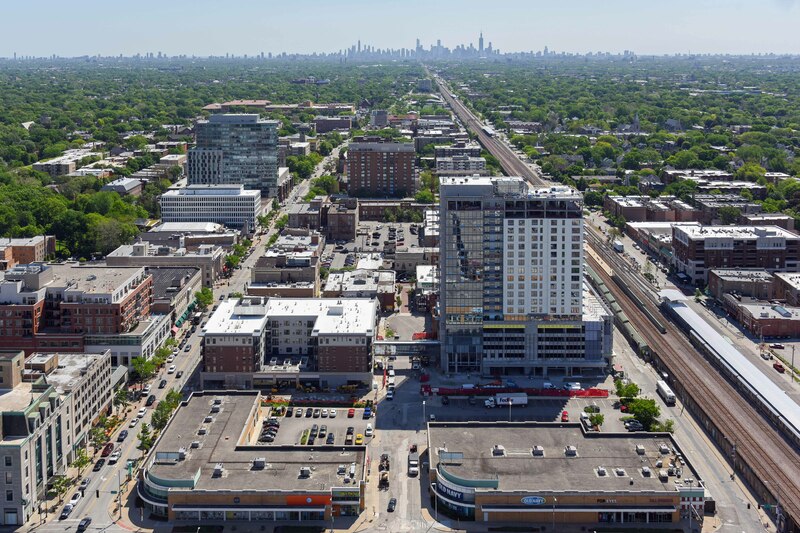 It’s home to world-renowned architecture, scores of restaurants and bars, dozens of locally-owned and national retailers, attractive parks, a seasonal farmers market and a burgeoning entertainment scene, all within a short walk of state-of-the-art apartment living. Downtown Oak Park is less than 20 minutes to downtown Chicago by Metra train and less than 30 minutes on the CTA Green Line. The Eisenhower Expressway (I-290), a mile south of downtown Oak Park, affords quick access to employment corridors in the western suburbs. O’Hare and Midway airports are less than half an hour away. 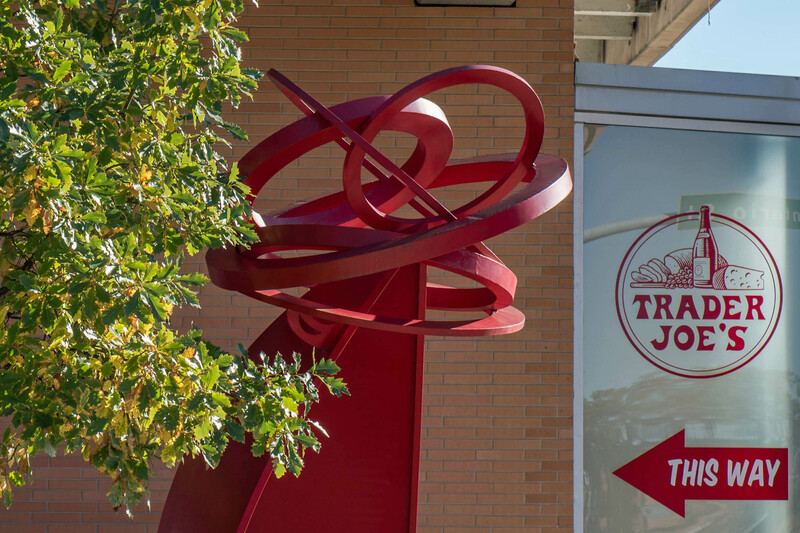 If you’re looking for a great Chicago neighborhood, suburban downtown Oak Park belongs on your must-visit list. Here’s a quick recap of the major apartment communities in the neighborhood, with the newest first. All of the buildings are pet-friendly, subject to limits, and have on-site parking. You’ll find floor plans and near real-time rent and availability info at each of the building websites. For smaller apartment buildings, we recommend a visit to the Oak Park Regional Housing Center, a 501(c)(3) not-for-profit organization. 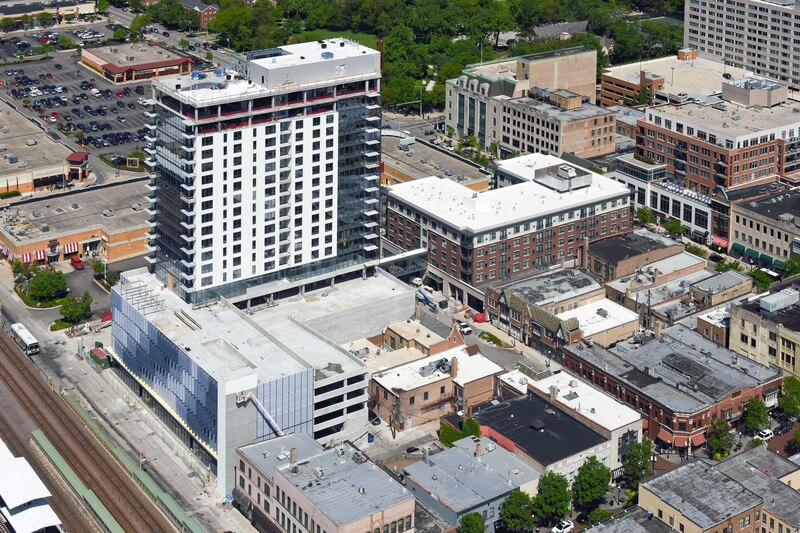 The Emerson is a 5-story mid-rise and 20-story high-rise, with 271 apartments and retail space anchored by Target. 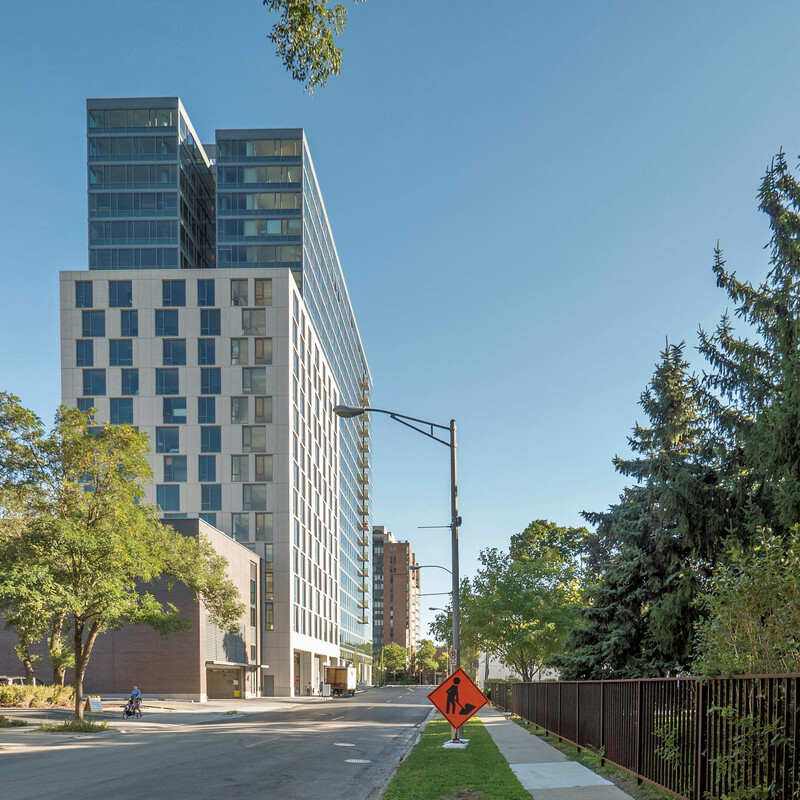 It’s slated for first occupancy August 1, 2017 at 1145 Westgate St.
Vantage Oak Park, a 20-story, 270-unit contemporary high-rise, opened in the fall of 2016 at 150 Forest Ave.
Oak Park Place is a 14-story, 204-unit high-rise built in 2009 at 479 N Harlem Ave.
Oak Park City Apartments is a 3-story, 125-unit courtyard built in 1987 at 675 Lake St.
100 Forest Place, built in 1985 at 100 Forest Ave, includes a 15-story tower with 144 units and 90 low-rise apartments.